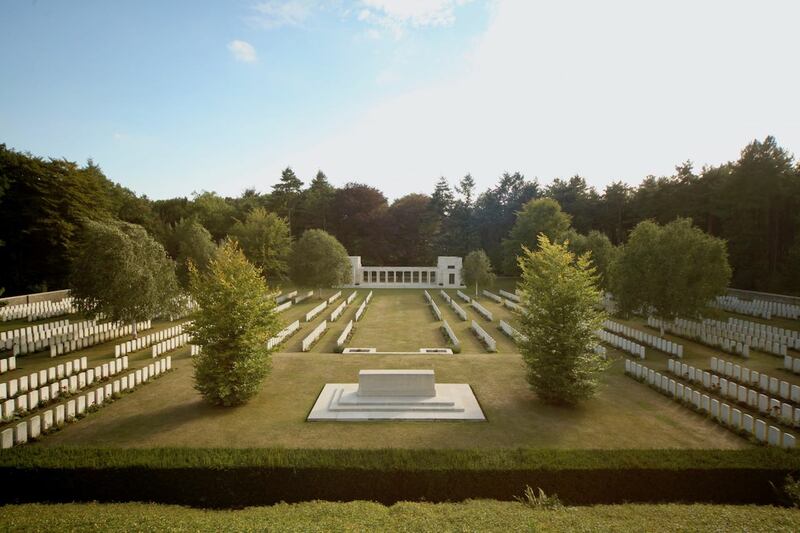 All around Flanders Fields, you will find them dotted through the region: fields of white military graves that remind us of the soldiers who fought and died in the first world war. 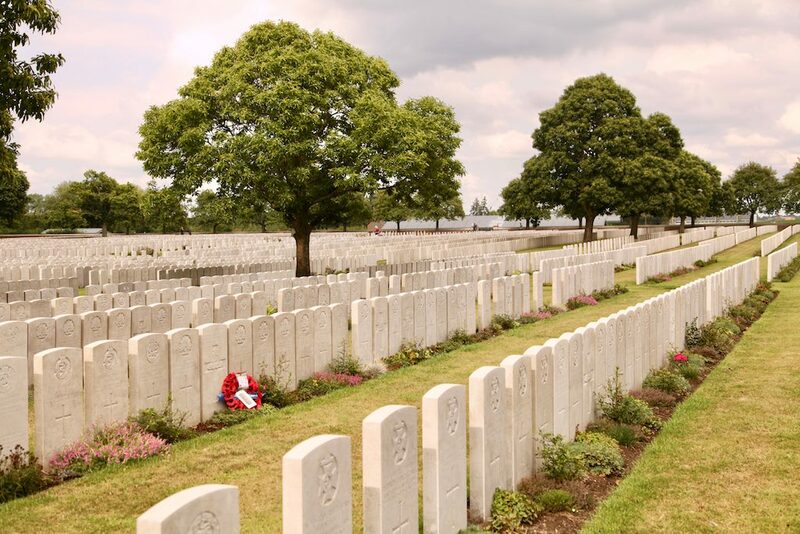 Tyne Cot in Zonnebeke is the largest burial site, but there are plenty of others, often tucked away in the woods… Join us on our visit to six of them. Where? Along ‘Lange Dreve’ street, set in Polygon Wood, a large wood in Zonnebeke. 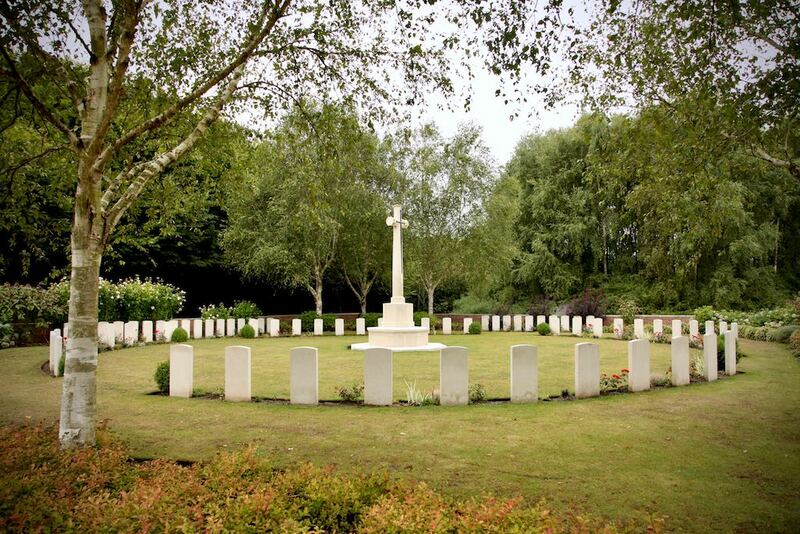 The Buttes New British Cemetery commemorates 2.103 fallen soldiers (mainly British and Australian) that all died in the surrounding battlefields. 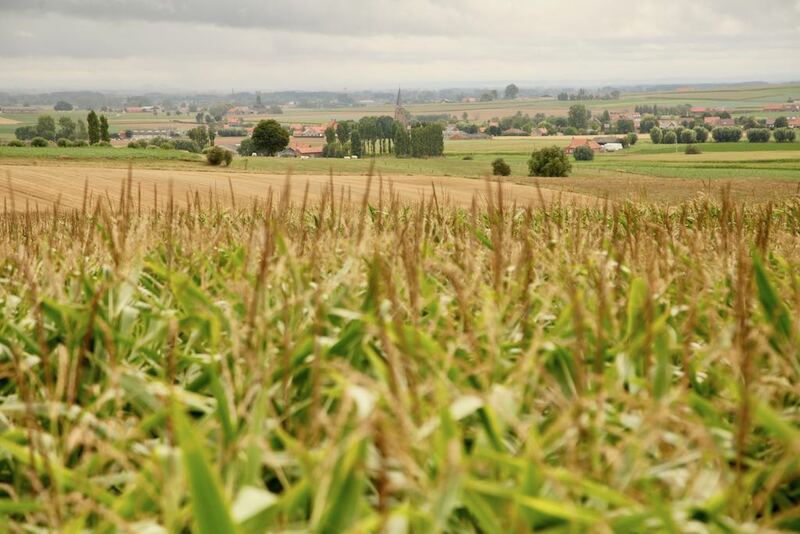 80% of them remain unidentified… On top of the mound is an obelisk, a memorial of the 5th Australian Division. The memorial on the other side commemorates 378 New Zealanders who have no know grave. The Polygon forest used to be a military training site with a ‘butte’, an artificial hill that was used as a shooting range. Because of the huge man-made mound and the proximity to the Ypres Salient, it was the scene of a few heavy battles in World War I (including the First Battle of Ypres on October 15th 1914). Take the steps and stand on the ‘butte’ next to the obelisk to grasp the size of the 15.145 m2 cemetery. The forest! You can still see the remains of several shelters and bunkers here. The impressive Passchendaele Memorial Museum. Where? In the Groenestraat, about 4 km from the city of Menen. 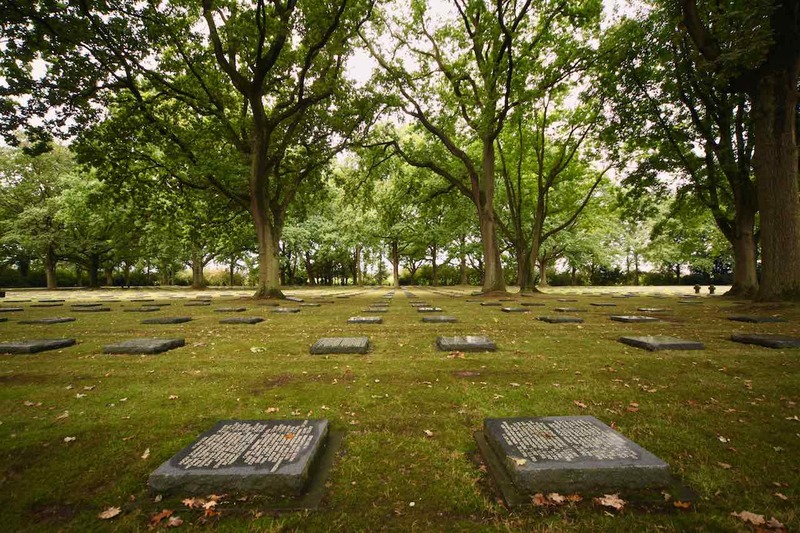 The German Military Cemetery (aka Menenwald) is the final resting place of 48.049 German soldiers that were killed in WWI. The grass field is entirely dotted with stones, listing up to 20 names per stone. Some of the original graves and lava stone crosses are still there, surrounded by a landscape of old oak and chestnut trees. The cemetery should be open all the time, but when closed, ring the doorbell of the house across the street. It’s huge (it’s the biggest WWI German cemetery in Belgium and on the European continent, you could say it’s the Tyne Cot for German victims). Almost all soldiers were identified, which is rare for a cemetery of this scale. Nothing really, which makes it all the more special. Few tourist make it all the way up here. Where? 4 km south east of Ypres, on the Verbrandemolenstraat. 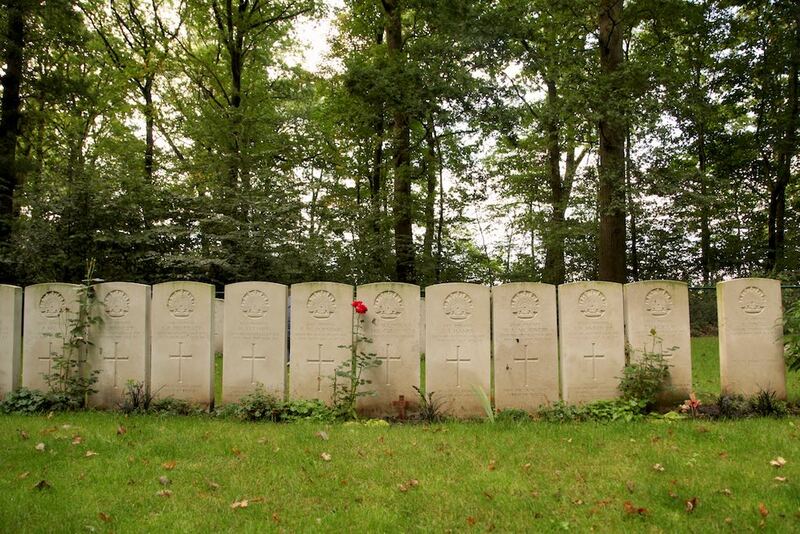 Hedge Row Trench Cemetery is hidden in the Molenbos forest, aka Ravine Wood, along with a few other Commonwealth cemeteries. The cemetery is named after the British trench that was located in this forest during WWI (it used to be lot bigger than is it now). 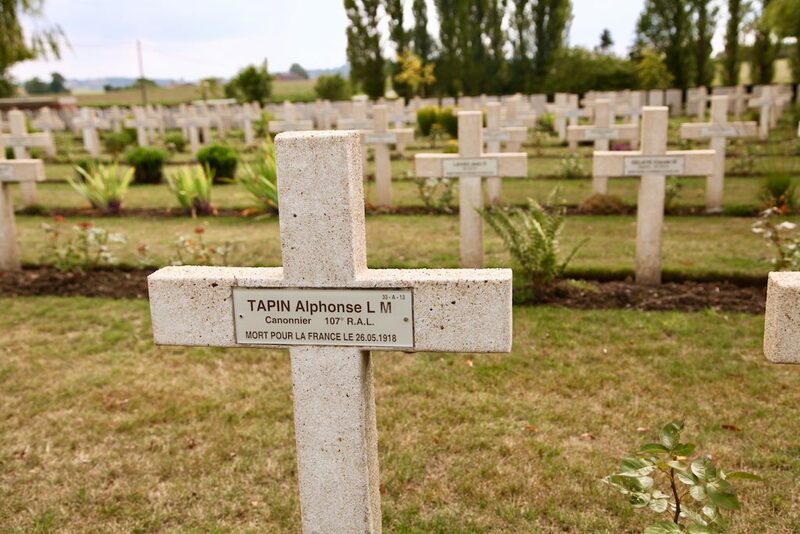 98 soliders are buried here, the first in 1915, the last one in 1919. It’s not accessible by car and it’s quite hard to locate on foot as well. Google Maps helped us find it! The layout of the cemetery is rather unusual. 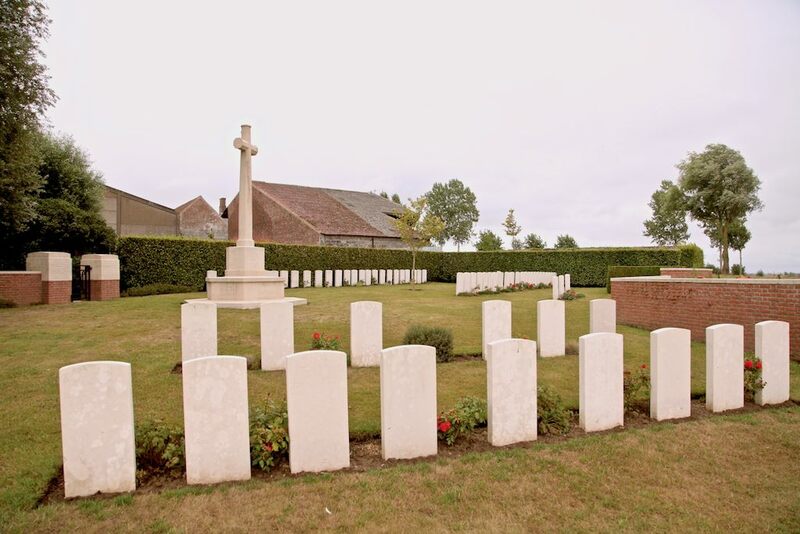 During the war, the burial site suffered so much from the shell fire that the positions of the individual graves couldn’t be reconstructed, so the headstones now form a circle around the Cross of Sacrifice. The circle also is a symbol for the large amount of craters cause by mine explosions in the area. 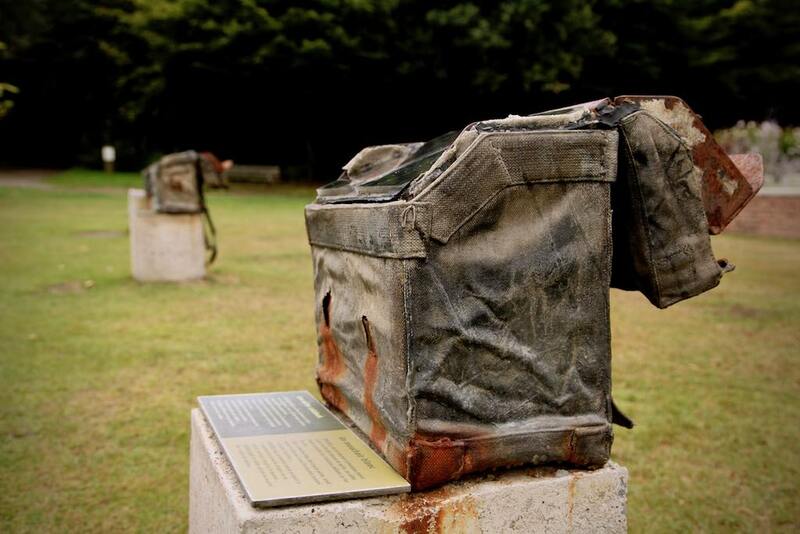 Next to the cemetery, a few backpacks are displayed on pedestals, showing the personal belongings of a fallen soldier buried at Hedge Row Trench. The items are preserved behind plastic glass: a white handkerchief, a field shovel, a water bottle, make-up (soldiers put on plays to kill time), canned beef and a torch to name a few. It makes the visit all the more emotional. 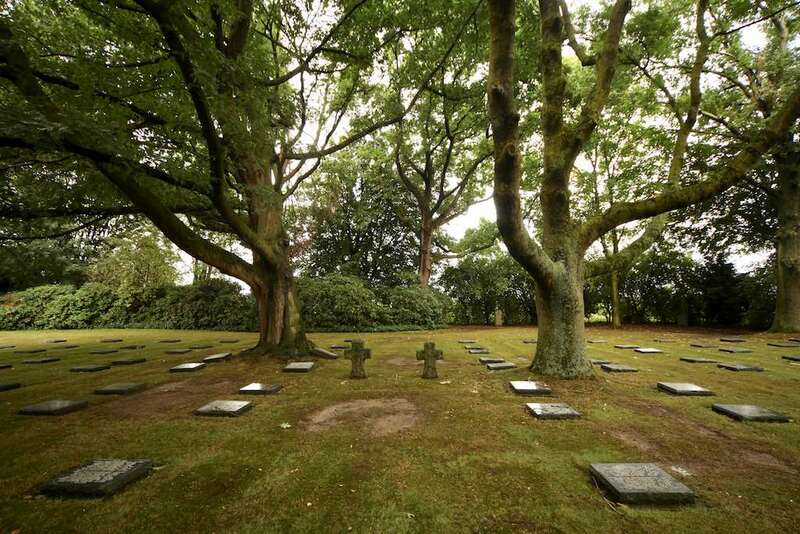 There are a few other cemeteries in the Molenbos forest as well. Hill 60, the scene of a bitter fighting during WWI and preserved in its wartime state. Where? In the woods at Ploegsteert (called ‘Plugstreet Wood’ by the British Army) along the Huttebergweg, 11 kms south of Ieper. 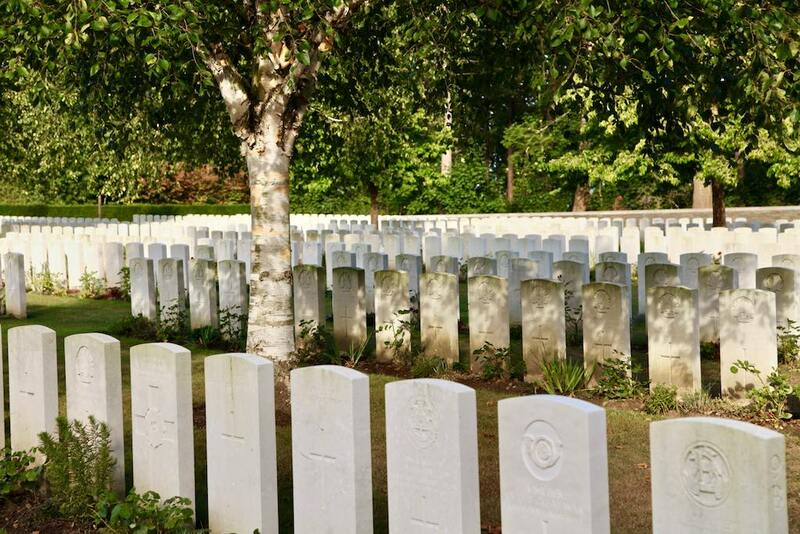 In and around Ploegsteert wood you’ll find a dozen of small regimental cemeteries, like Toronto Avenue, Rifle House and Ploegsteert Wood. The cemeteries that are hidden deep in the woods are all very serene and humbling, especially in the evening when the sun is gleaming through the trees and shining on the graves… On the way back, you’re treated with a nice view of the Browse Point Militery Cemetery in the distance. From Hutteberg street, you need to walk about 1 km to get to to the graveyard. 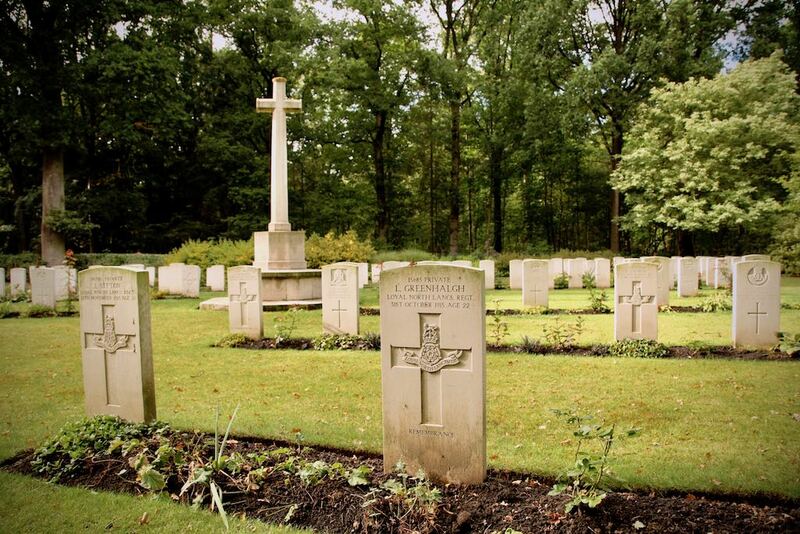 The Ploegsteert Wood Military Cemetery is the second site you’ll come across. 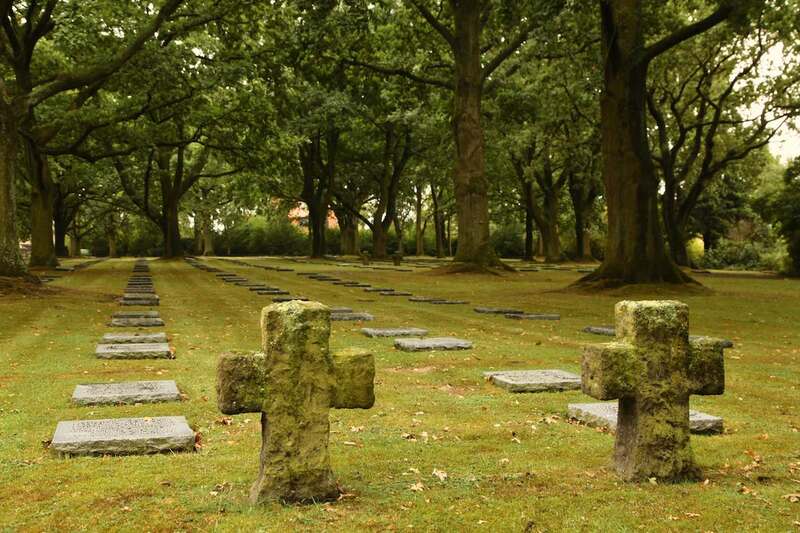 Both Winston Churchill and Adolf Hitler served a part of their military career in this area during WWI… Churchill arrived in Ploegsteert as a commander of the 6th Battalion, Royal Scots Fusiliers and just a few miles aways was Hitler, stationed in the crypt of the ruined church of St Nicholas in Messines (now Mesen). There should be several bunkers and shelters spread around in the forest, but we didn’t see any of them. 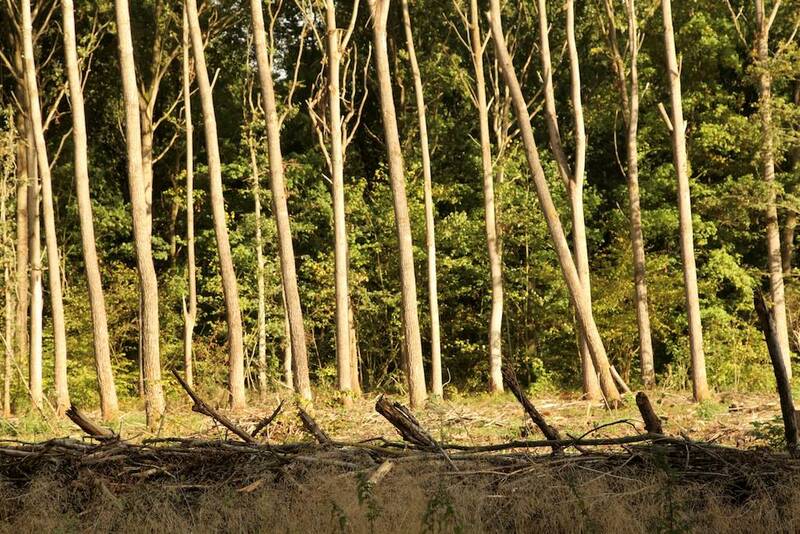 Only 1/3 of the wood is open to public, the rest is in private hands. The Christmas Monument that pays tribute to the British and German soldiers who played football together on Christmas Day 1914. 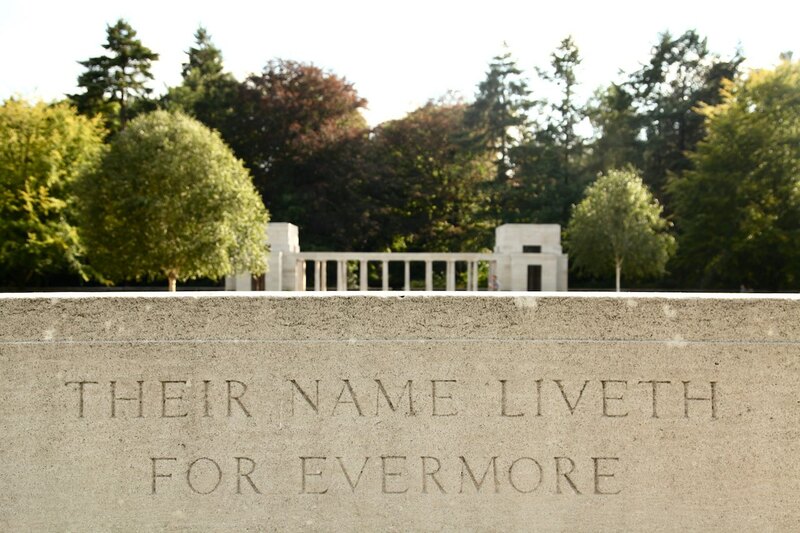 The Ploegsteert Memorial to the Missing, commemorating more than 11,000 British and Empire servicemen who died in the area during the First World War and have no known grave. Where: In Wijtschate (Heuvelland), along ‘Kruisstraat’, about 8 km of Ypres. The cemetery is on a very unexpected and private location, right behind a working farm. 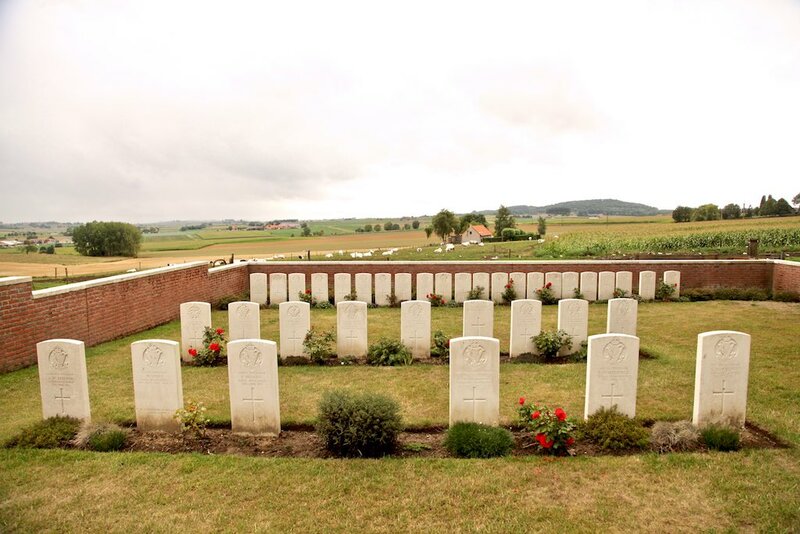 A pathway on the right side of the farm leads you to the cemetery where 88 soldiers are buried here. First of all there’s the location: the cemetery is set on one of the highest points of the Messines Ridge: Spanbroekmolen. The hill was strategically very important, overlooking what once one No Man’s Land inbetween the German and the British front line. Secondly, there’s the story behind it. 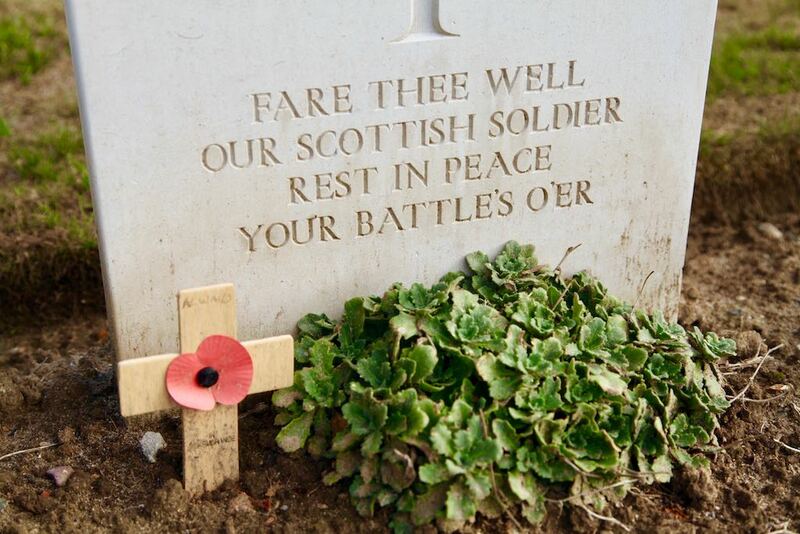 Most of men buried here are from the Royal Irish Rifles. 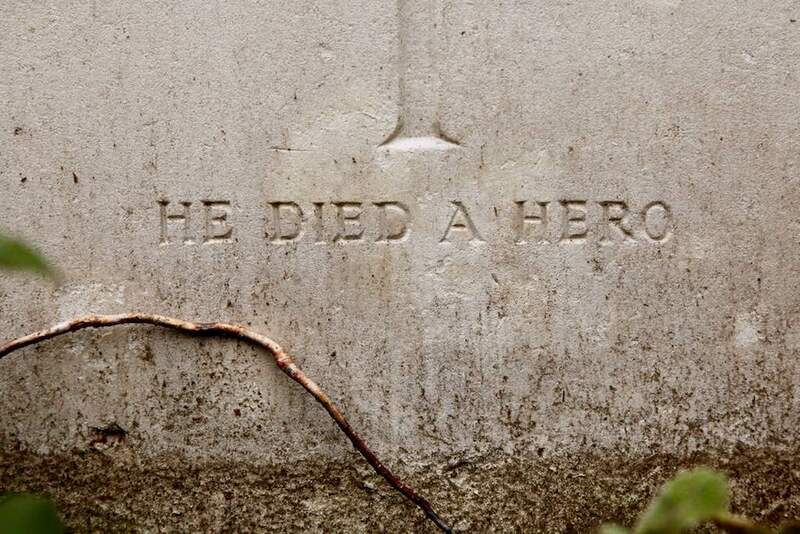 They died on the first day of the Battle of the Messines Ridge. British soldiers had worked for over a year to place 19 mines in tunnels under the German positions. On June 7 1917, all 19 mines were simultaneously detonated between Hill 60 and Ploegsteert Wood. But the one at Spanbroekmolen exploded 15 seconds later than planned… So when the soldiers of the Royal Irish Rifles left the trenches at the scheduled time to surprise the Germans, they were hit by their own mine. The Lone Tree Crater or Pool of Peace, the result of the mine explosion that killed the tunnellers. Where? Just outside the centre of Poperinge on the Boescheepseweg. Okay, the Lijssenthoek Commonwealth military cemetery isn’t really hidden, but this imposing and poignant site deserves to be mentioned. 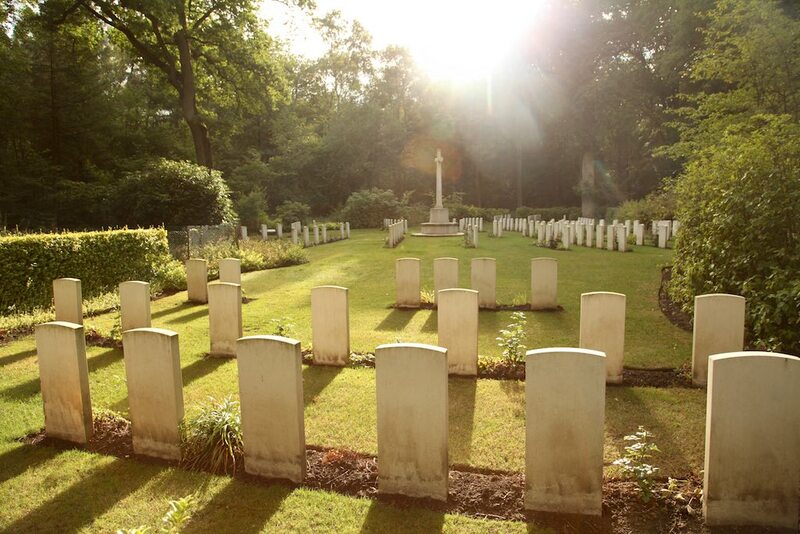 From 1915 until 1920, the area where the cemetery is today was the venue for the biggest evacuation hospital in and around Ypres. 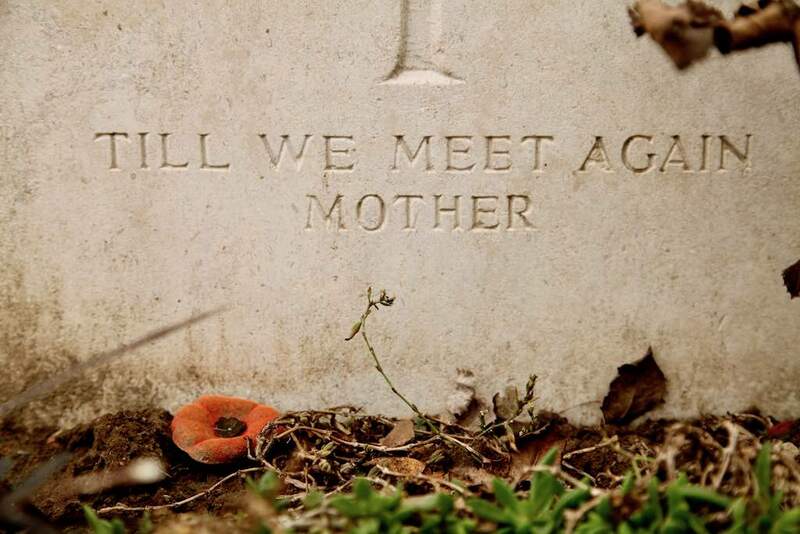 With its 10.700 graves, it’s the second largest Commonwealth Cemetery (Tyne Cot is the largest one) in Belgium. The vast majority of the burials are identified. casualties are identified (as opposed to Tyne Cot), because most of them are men that were treated at the hospital and didn’t survive their wounds. 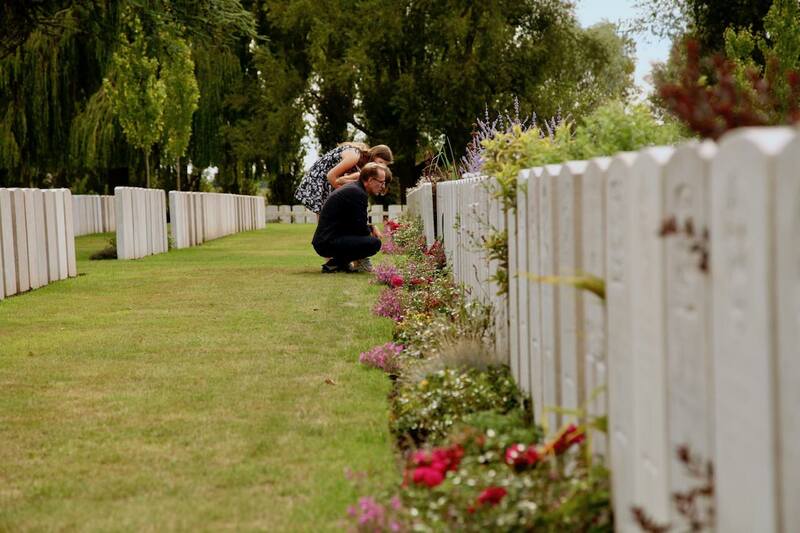 Whereas Tyne Cot represents 4 nationalities, Lyssenthoek represents no less than 30 different nationalities. 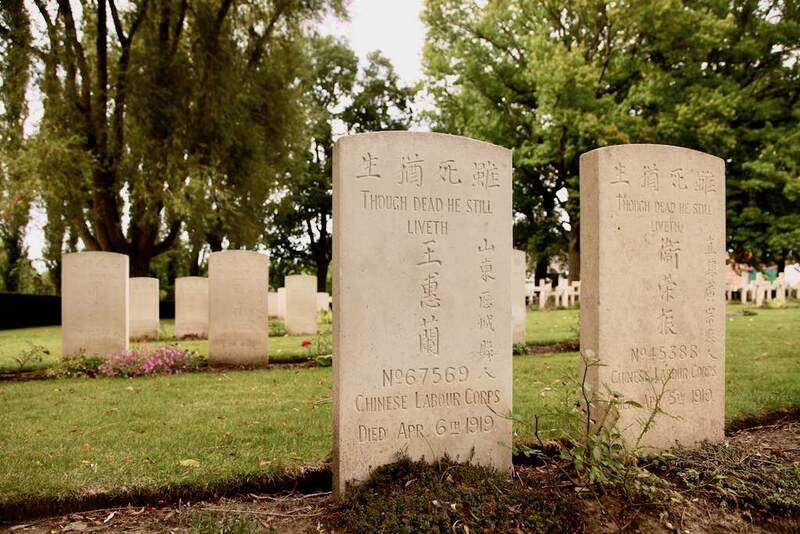 Including 35 Chinese, reminding us of the immense scale of the war… Be sure to walk past the ‘timeline’ of 1.392 metal poles that was set up along the length of the cemetery. Each pole represents a day in the history of the former hospital and each pole bears a certain number of slots, representing the deaths that occurred on that day. The city of Poperinge! Plenty of Flanders Fields sites to visit here, like the death cells at the town hall. And the Talbot House, a club that provided recreation to all soldiers coming in, regardless of their rank. 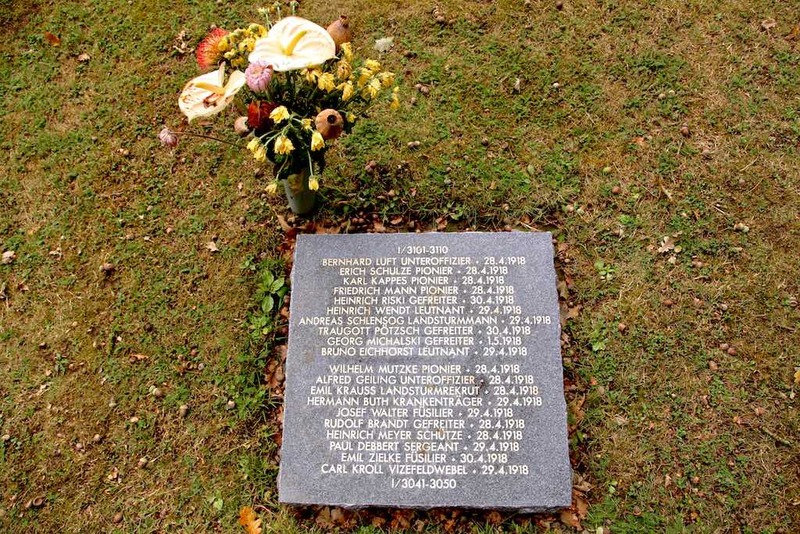 If you have some time left, also visit the old Rekhof cemetery. There are a few military graves here as well, along with the graves of civilians that were killed during the war.